미스틱89는 프로듀서 윤종신의 주도 아래 음악 콘텐츠를 만드는 엔터테인먼트 전문 기업으로 출발했습니다. 2013년을 기점으로 보다 전문적이고 체계적인 기업으로 거듭나기 위해 조직화되었으며, 음악 산업에서뿐만 아니라 드라마, 예능, 영화 등 대중 문화 산업 전반에서 활약하고 있습니다. MYSTIC89 is a music label under the leadership of the producer Yoon Jong Shin. As of 2013, MYSTIC89 has established itself as a professional and organized record company. MYSTIC89 is active not only on music industry but also on general mass culture industry including drama, entertainment program and movies. 에이팝은 프로듀서 조영철과 작곡가 이민수, 작사가 김이나 등 핵심 스텝들의 컨텐츠 관련 노하우를 통해 K-Pop과 J-Pop을 넘어 Asia Pop(A-Pop)을 이끌 수 있는 콘텐츠 제작을 목표로 하는 레이블입니다. 에이팝은 아티스트와 아이돌의 경계를 허무는 컨텐츠 제작을 지향합니다. APOP is a comprehensive entertainment label which produces global contents on K-Pop, J-Pop and Asia Pop market. Core staffs including producer Youngchul Cho, composer Minsu Lee, lyricist Eana Kim are demonstrating their practical know-how to produce contents that blur the boundary between artist and idol. 미스틱액터스는 개성있는 마스크와 안정적인 연기력을 겸비한 배우들로 구성된 배우 매니지먼트 레이블입니다. 오랜 기간 축적된 매니지먼트 노하우로 배우들의 작품활동을 체계적으로 지원하고 있으며, 편안하면서도 다양한 캐릭터를 가진 배우 매니지먼트 레이블을 지향합니다. MYSTIC Actors is an actor management company which consists of actors with characterful appearances and stable acting abilities. With long-accumulated management skills, MYSTIC Actors systematically supports the work activities of actors and aims to be an actor management company that maintains a wide variety of actors with comfortable, yet, various different characters. LISTEN은 미스틱의 음악 플랫폼입니다. 2016년 하림의 'Rainbow Bird'를 시작으로 좋은 음악이 준비되면 수시로 음원을 발매할 계획입니다. 양질의 음악이 리슨을 통해 아카이빙되고, 리스너들이 스스로 리슨에 보유된 음악들을 찾아 듣게끔 만드는 것이 목표입니다. LISTEN is the music platform of MYSTIC Entertainment. Starting with 'Rainbow Bird' by Hareem, it plans to frequently release digital songs whenever good music is ready. The goal of LISTEN project is to archive high quality songs through this platform LISTEN, and ultimately make listeners to find and enjoy songs which are included in LISTEN by themsevles. 20년 넘게 수많은 히트곡을 만든 박근태 프로듀서가 미스틱엔터테인먼트와 함께 특별한 작업을 진행합니다. 수지, 백현 'Dream'을 시작으로 최고의 아티스트들이 함께하는 'Produced by 박근태'는 그의 음악 세계를 돌아보는 동시에, 그가 가장 잘할 수 있는 음악을 보여줍니다. Producer Park Keun Tae who has produced many Korean hit songs for twenty years is proceeding special project with MYSITC Entertainment. Starting Suzy, BAEKHYUN 'Dream', best artists have participated in the project 'Produced by Park Keun Tae' and this project looks back on his last music world showing the music that he can do best now. <멜로디 포레스트 캠프>는 남녀노소 모두가 쉽고 편하게 즐길 수 있는 국내 유일의 대중 음악 페스티벌입니다. 또한 누구나 마음껏 즐길 수 있고, 누구나 편하게 쉴 수 있는 ‘페스티벌’ 본연의 의미에 가장 가까이 다가서 있습니다. 모두가 즐겁게 흥얼거릴 수 있고, 신나게 따라 부를 수 있는 대중 가요를 감동적인 라이브로 만나보세요. <Melody Forest Camp> is the only domestic popular music festival where you can enjoy a comfortable and easy all ages. In addition, anyone can enjoy, you went to the nearest 'Festival' inherent meaning that anyone can rest easy. Everyone can hum merrily runnin, Meet fun you can sing along to popular songs by touching live. 월간 윤종신(月刊 尹鍾信)은 2010년부터 시작한 가수 윤종신의 음악 프로젝트입니다. 매월 싱글 음원을 발표하는 것에서 나아가 영화, 전시, 미술 등 다양한 분야와 협업하며 하나의 문화 브랜드로 자리 잡았습니다. 월간 윤종신은 디지털 매거진으로도 만나볼 수 있습니다. 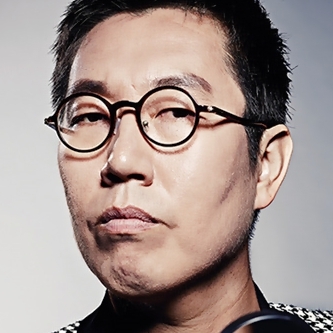 Monthly Project Yoon Jong Shin is the music project of singer Yoon Jong Shin started from 2010. It is established as one of culture brand not only by releasing a single of every month but also collaborating with diverse fields as movie, exhibition, art. Monthly Project Yoon Jong Shin also meets people in the form of a digital magazine.